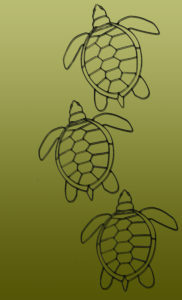 In July we feature tortoises – and much more – by two talented artists. 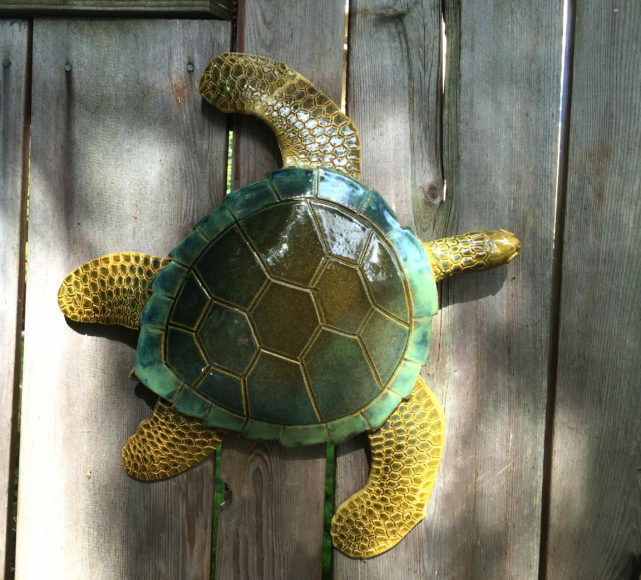 Clay artist, Marydee Bombick will present a collection of ceramic sea turtles in a variety of sizes. They will be watched over by a curious group of wide eyed owls. All can be used either indoors of outside in a garden setting. 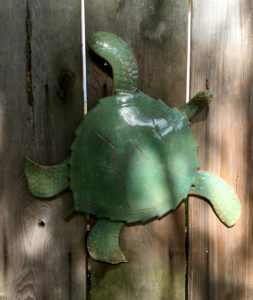 Marydee’s interest in clay began in her early teens when her aunt taught her to paint on pre-formed pieces. George Popa will present his Tortoises, his popular Jazz Bands, and much more. His sculptures are three-dimensional sketches which he creates using wire and silver solder. His career in sculpting began in the 1970’s, when he created a gift for a friend who had everything – except for a sculpture of his sailboat. This month we will also feature the highly entertaining folk musician and teaching artist, David Nigel Lloyd. David is a non-traditional traditionalist from California. As the British magazine Folk Roots wrote, “Lloyd uses traditional tunes and themes where it suits his purposes.” He has performed in folk venues in England, Ireland, Canada and throughout the United States.